Board-certified plastic surgeon William J. Hedden, M.D., combines the highest standards of surgical excellence with a keen artistic eye and a true desire to help his patients achieve naturally beautiful results. Dr. Hedden is dedicated to providing personalized, compassionate care and is exceptionally skilled and experienced in a wide range of plastic surgery procedures. Dr. Hedden graduated from the University of Florida with majors in sculpting and anatomy. He earned his medical doctorate from the University of South Florida College of Medicine before completing his general surgery residency at Louisiana State University Medical Center in Shreveport and his plastic surgery residency at the University of Alabama at Birmingham. 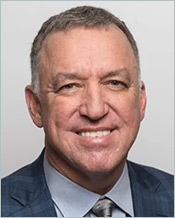 Dr. Hedden is board-certified by the American Board of Plastic Surgery and is a member several prestigious medical societies, including the International Society of Hair Restoration Surgery (ISHRS), American Society of Plastic Surgeons, American Society for Aesthetic Plastic Surgery, American College of Surgeons, American Society for Laser Medicine and Surgery and Southeastern Society of Plastic and Reconstructive Surgeons.